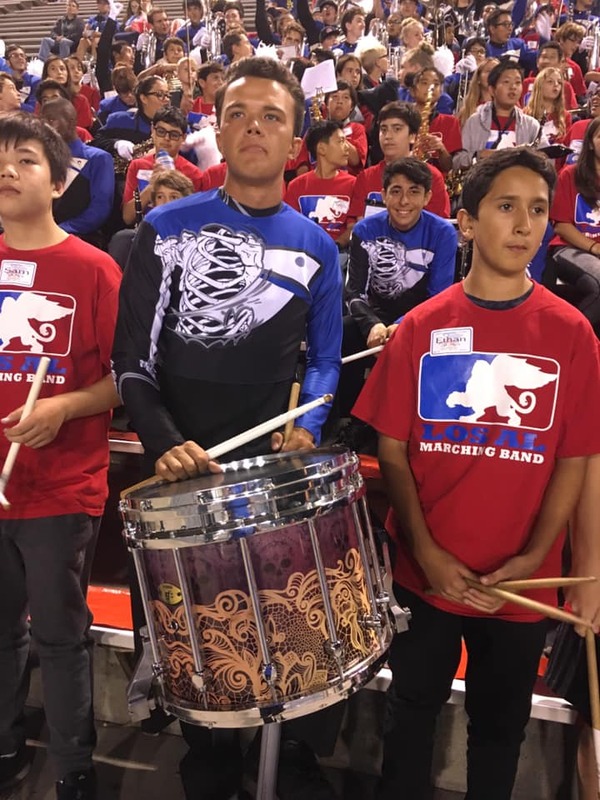 The LOS AL Marching Band is an active, contemporary outdoor performance ensemble open to ALL winds, percussion, and color guard students in the Fall Semester. The ensemble starts rehearsing in the summer, then after school, and performs at school and community events, football games, and local and regional field competitions. In recent years, several marching band seniors have been selected to the prestigious US Army All-American Marching Band. 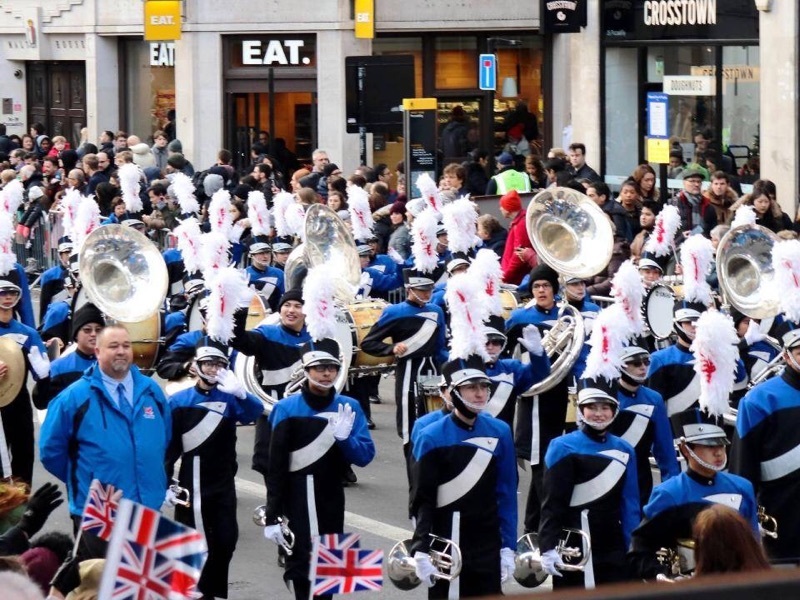 Recent travel includes the Hawaii Invitational Music Festival in Spring 2016, and London New Year’s Day Parade in January, 2018. 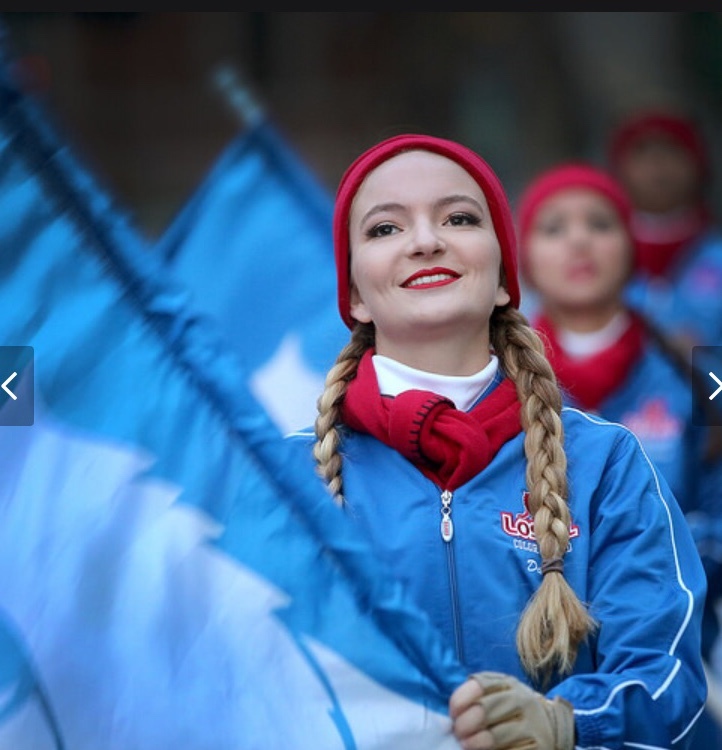 Many of our students go on to perform with summer drum and bugle corps, including several who participated in the Rose Parade in 2019. 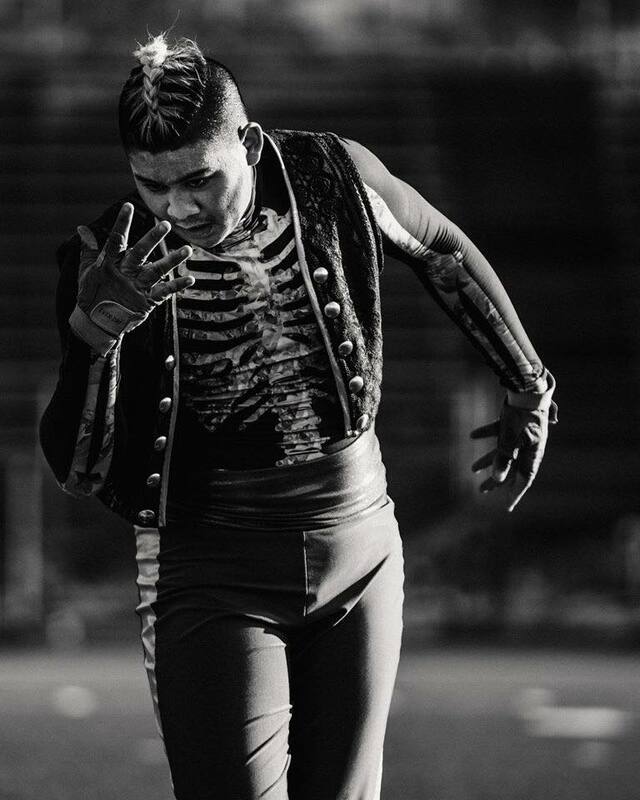 LAHS Marching Band at Trabuco Hills 3A 11/10/18 "La Ofrenda"
LAHS Marching Band at 2017 SCSBOA 4A Championships, "The Lost Boy"
LAHS Marching Band at 2016 WBA 1A/2A/3A Combined Championships "The Yellow Wallpaper"
LAHS Marching Band at 2015 WBA 4A/5A Combined Championships "Revolutions"
LAHS Marching Band at 2014 WBA 4A/5A Combined Championships "IMAGINE"
LAHS Marching Band at 2013 WBA Championships "The Grind"
LAHS Marching Band at 2012 WBA Championships "Legends of the East"
LAHS Marching Band at 2011 WBA Championships "Tribal Matter"
LAHS Entertainment Unit at 2010 WBA Championships "The Traveler"
LAHS Entertainment Unit at 2009 WBA Championships "HeartBeat"
The Indoor Drum Line is a dynamic, contemporary, competitive percussion performance ensemble open to students by audition only. In the fall, the drum line performs as an integral musical unit of the Marching Band featuring marching battery drums and a front ensemble. In the winter and spring, the group competes in local, regional, and national competitions. Recent trips have included Dayton, OH for the WGI World Championships in Spring 2014, and we will return again in Spring 2019! LAHS Drumline at 2015 SCPA Championships "Where the Sidewalk Ends"
LAHS Drum Line at 2017 SCPA Championships "Radio Age"
LAHS Drum Line at 2018 SCPA Championships "Gate Keepers"
The Indoor Color Guard is competitive dance theater using props as a visual expression of music performance open to all interested students. Color Guard is an athletic art form that combines modern dance with ballet technique while using props that traditionally include rifle, flag, and sabre among others. This ensemble competes as a integral component of the Marching Band in the fall, using choreography and equipment to enhance the visual effect of the production. In the winter and spring, the group competes in local, regional, and national indoor competitions. Recent trips include San Diego, CA, the WGI World Championships in Dayton, OH in spring 2016, and WGI Regional in Phoenix, AZ in Spring 2019. 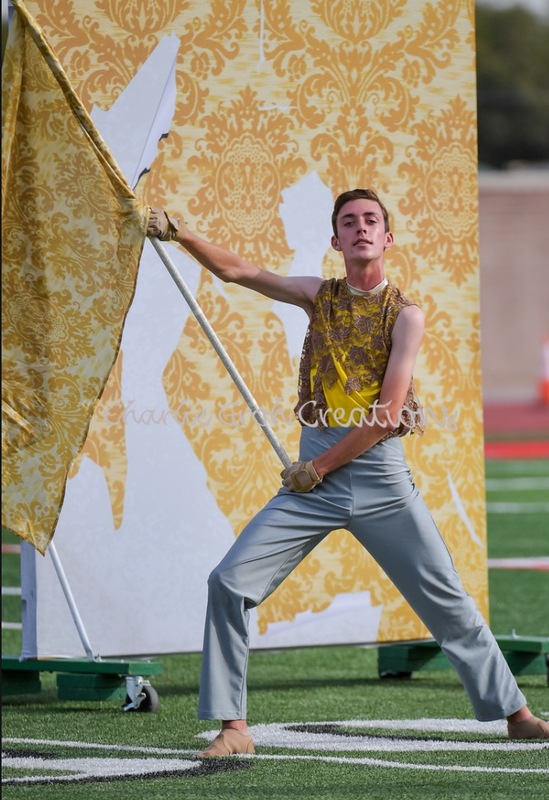 LAHS Color Guard at 2016 WGI World Championships "JACK'D"
LAHS Color Guard at 2015 WGASC Championships "Letting Go"
Tom Plunkett has been the Director of Bands at Los Alamitos High School since 2012. He began his teaching career in 2002 at Damien HS in La Verne, CA, led Mater Dei HS in Santa Ana from 2010-2012, and has served as an adjudicator for the Southern California School Band & Orchestra Association. 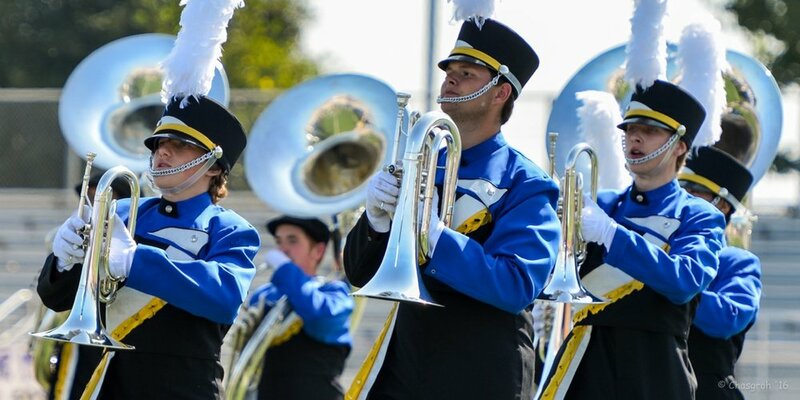 Under his leadership, the symphonic and marching programs have gained local, regional, and national acclaim while emphasizing student growth and leadership. Mr. Plunkett earned the City of La Verne Teacher of the Year Award in 2008, the Los Alamitos HS Golden Apple Award in 2015, the Los Alamitos USD Cabinet Award in 2015, the PTSA Outstanding Teacher Award in 2017, and was a member of the World Champion Concord Blue Devils Drum & Bugle Corps in 1994. Tom married his high school sweetheart Lucia and they have two children, Oliver and Luna.